For years, people thought that teaching foreign languages to children as young as three years old was futile. However, research findings prove this to be wrong. The truth is, there are some incredible psychological benefits of learning a second language. For kids, the benefits extend beyond being able to just communicate or get directions when they are abroad. According to Harvard University studies, learning an additional language increases the critical thinking skills, sparks creativity and gives flexibility of the mind in young children. Just like any muscle, the brain functions better with exercise and learning a language helps in strengthening it. In the United States, Spanish is the second most spoken language (after English) with over 35 million speakers. Since the Spanish speakers are usually able to understand some of the other Latin languages, they don’t find it too difficult to understand or communicate with people in most parts of South America or Western Europe. By introducing your young children to a second language, you are giving them a chance at greater fluency and access to many professional opportunities later in their life. Spanish is a language that is spoken from the streets of Madrid to the foothills of the Andes – and is definitely one of the most popular languages for preschool children in the US. Whether you want your preschool kids to keep their mind sharp, expand their travel opportunities or just learn a second language – learning Spanish has a lot of advantages besides the obvious ones. As the second most spoken language in the United States, it is also a dominant language in many of the neighboring countries in the Western Hemisphere. Below, we are listing several examples on how learning Spanish can help your preschool kids. According to a 2013 survey which included high level managers and executives, more and more employers prefer individuals who can speak Spanish. Even 96% of the respondents nowadays think that language skills are either very important or somewhat important for professional u can speak Spanish to more than 329 million people (native speakers). From fluently talking it in the heart of Spain to faking it in Portugal and some parts of Latin America, every kid can benefit from Spanish and expand their horizons. A lot of kids can benefit from Spanish during their lifetime. For example, doctors, lawyers and social workers work with diverse individuals and families day in and day out – many of which speaking Spanish. According to the US census, 12.9% of Americans speak Spanish at home, which is another important factor to consider. Did you know? According to the Association of Spanish Language Academies, the US will be the largest Spanish-speaking country by 2015. From this, it is easy to conclude that if you have children in the next decade of so, they will likely speak the language – or at least have friends speaking Spanish. Therefore, it would help if your kids learn Spanish in preschool. We are living in a fast-paced world with plenty of opportunities for working abroad. Nowadays, working abroad is one of the career goals of many young people who want to travel and see the most of the world. However, a lot of them are limited due to their lack of knowledge when it comes to second languages. In an increasingly global market, learning Spanish (or being bilingual in any way) helps you speak with international clients, negotiate business deals and work while traveling abroad. Learning a second language helps every preschool kid improve their brain – and helps their mind stay sharp longer. So, this is probably one of the biggest side benefits of learning Spanish – confirmed by a lot of studies. At Whiz Kids Preschool, we pride ourselves on teaching preschool kids Spanish – in a well-developed program, amazing staff and a certified preschool center based in Scottsdale. For more information, contact us today! Love, unity and respect. That is all we need to help your child develop a new language, speak and be inspired by it. We will make sure that your children understand the importance of respecting their teachers and their peers, all while learning a new language and adapting to a new environment. Fostering positive leadership and supervision, we are here to help your child develop and gain emotional understanding in all areas of development. For more info, contact us today. In the end, it is safe to say that learning Spanish in preschool is not anymore a privilege – it is a common need. 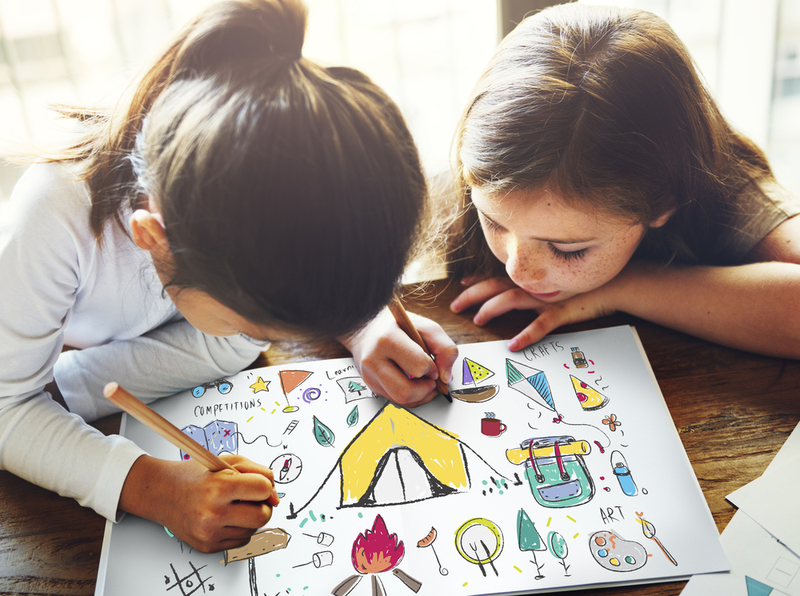 By learning it since their age of 3 or 4, your kids can become more independent, stay fresh and active as well as expand their career opportunities in the future.